Ok so these are probably the most awesome and quirky perfume bottles I’ve ever seen! 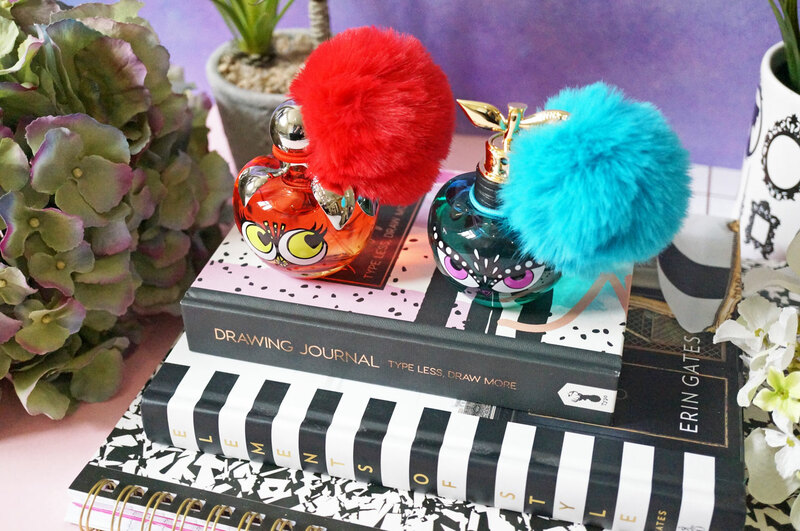 I love anything fun, kitch and a bit off-beat – and Nina Ricci’s latest limited edition Les Monsters fragrances literally tick all these boxes for me! Joyful, carefree and courageous, Nina Ricci Nina Monsters EDT is a citrus fruity-floral scent with cotton candy facets. 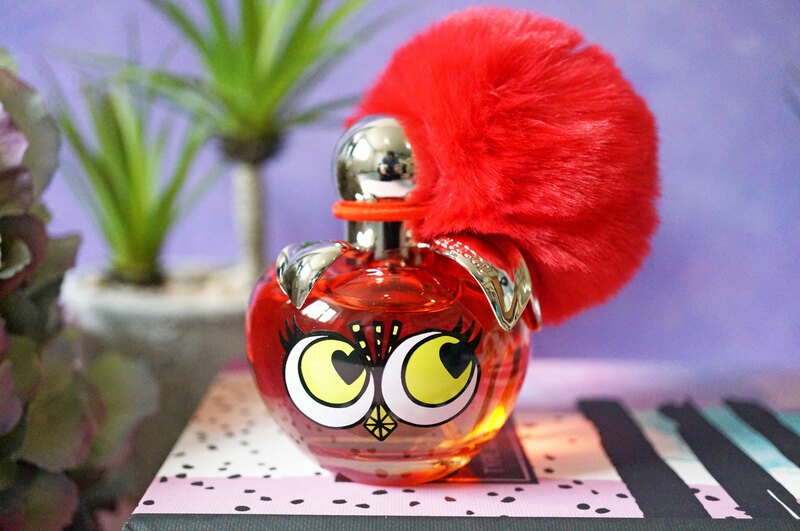 The Nina Monsters bottle is bright fiery orange, and looks quite like a sweet little owl! The fragrance opens with notes of of sparkling pear intertwined with blackcurrant. Cotton candy provides a second dose of deliciousness at the heart, before romantic freshness follows thanks to a sprinkle of peony petals. Tonka bean and ambery notes round out the fragrance with smoothness at the base, creating a signature that is sensuous and bright. Next we have Luna, described as Nina’s alter ego – intense, bewitching, mysterious and captivating. This little monster looks almost cat-like, with big almond eyes and whiskers, and a bright blue pompom. Nina Ricci Luna Monsters EDT is a delicious gourmand perfume with juicy pineapple facets infused with lime. The fragrance opens with with bright top notes of juicy pear and tonic lime, leading to a delicately feminine floral heart of freesia and orange blossom. The base is rounded off beautifully with rich, delectable notes of caramel and blond woods creating a signature that’s good enough to eat. You can probably tell that I absolutely love these bottles! The fragrances are also lovely, and very wearable. 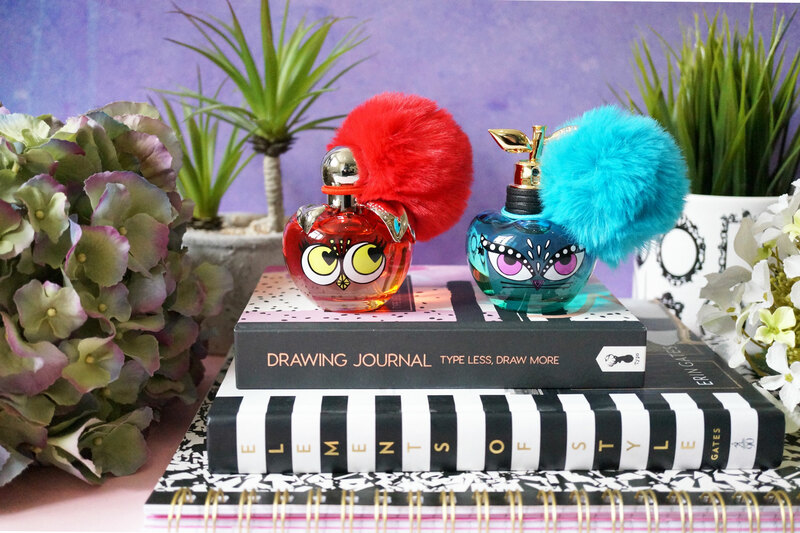 The Nina Ricci Les Monsters Limited Edition Fragrances are available now at Debenhams and FeelUnique. Next Post Michael Buble By Invitation Rose Gold SIGNED Fragrance Giveaway!